Kalamata - Peloponnese -Greece table olives. Packed in Jars with 100% Extra virgin olive oil or in brine. Packaging: Jars 225,350 , 500 , 1000 grs . FOUR NEW UNIQUE FLAVORS OF MARINATED KALAMATA PGI OLIVES. 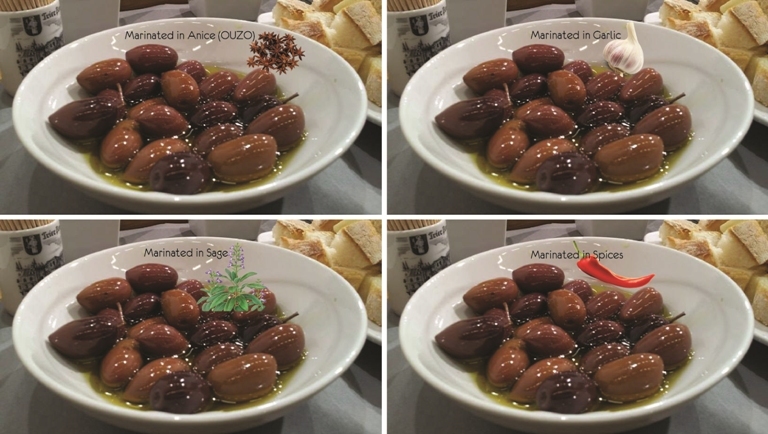 These four types of olives have been marinated before and then packed in glass jars in velegaar and extra virgin olive oil.